You’ve got the guy and a vision, but not much of a budget…now what? Why not share your love story in hopes of winning a luxury wedding through the Renaissance Hotel’s Wedding of the Year Contest?! StarDustCelebrations is thrilled to announce our participation in the giveaway, where the winning couple will be awarded a fabulous Dallas wedding in November. The grand prize – valued at $100,000 – includes all of the bells and whistles, from an expert wedding planner, elegant stationery and incredible entertainment to stunning décor, beautiful photography and an exotic honeymoon – andone of our gorgeous bridal gowns! Couples can enter by sharing their love story here. Contestants must enter by February 28. All of the details, rules and FAQs can be found here. Did you have a wonderful experience with StarDust Celebrations? Did we help you find a swoon-worthy bridal gown? Did you find the perfect bridesmaid dresses or Mother of the Occasion gown? 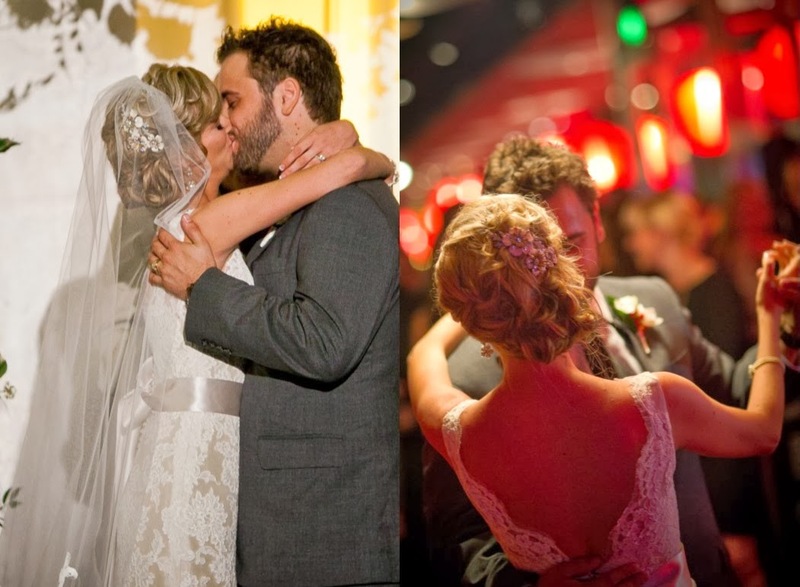 Did we partner with you to plan an amazing wedding weekend? Please let the world know by sharing the love on Google! Please and thank you! 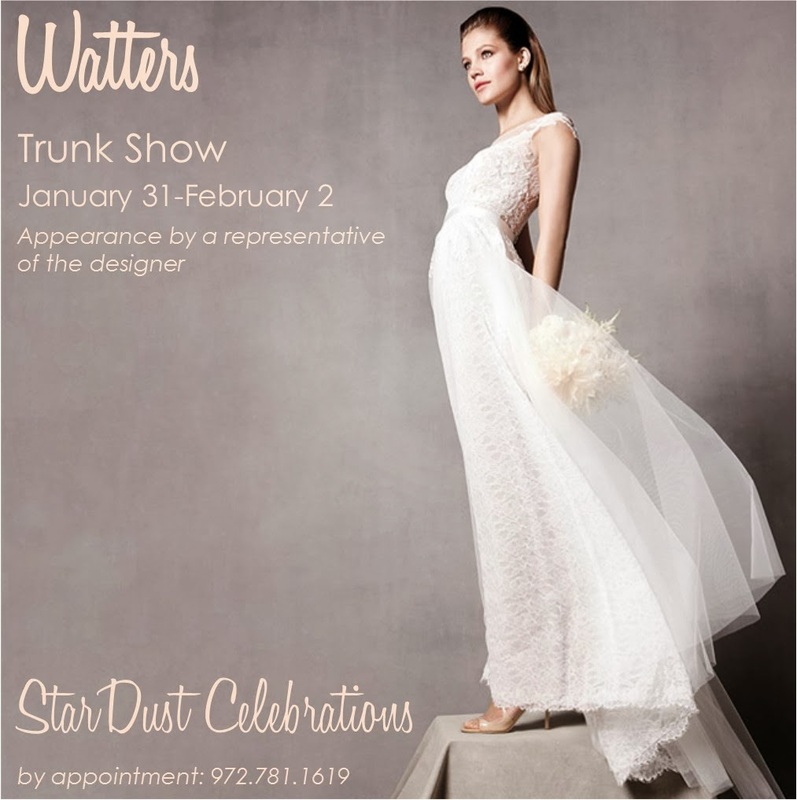 This weekend, a representative for Vatana Watters will join us for our Watters Spring 2014 Bridal Gown Trunk Show. Call StarDust now at 972.781.1619 to schedule your appointment to preview these beautiful gowns featuring feminine details, soft colors and lots of romance. The Watters Company started with a few handmade special occasion dresses for friends and family in California in the ’80s. Today the Watters name is a household word in the bridal industry. Known as innovators in the bridal fashion industry, Watters creates gorgeous gowns that are recognized for their creativity and quality, and these gowns are sophisticated and gorgeous! Founder Vatana Watters continues to be intimately and passionately involved in the design direction of the company. Trunk shows are special in-store promotions or sales events when gown designers send expanded offerings of their new line to stores for brides to preview, try on and order. Often, salons will offer a special promotion or discount during a trunk show. By the way, the name comes from how the gowns used to be transported from salon to salon – in trunks! 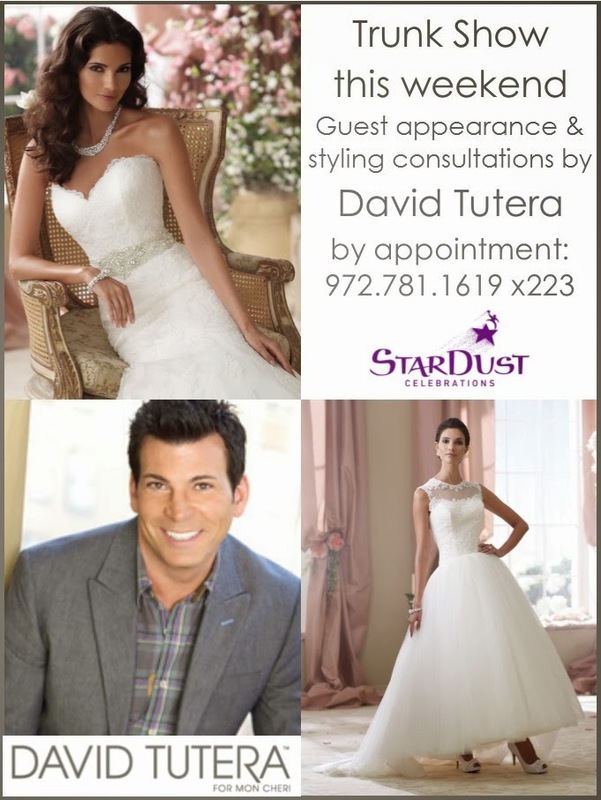 This is your final call to schedule your appointment with the legendary David Tutera and his gorgeous Mon Cheri bridal gowns for a styling consultation at StarDust. We have only a handful of appointments remaining, so don’t miss your chance to meet the celebrated wedding expert and have him help style you for your wedding day! The David Tutera forMon Cheri wedding gown collection is normally carried by StarDust’s sister store LuLu’s Bridal Boutique and the trunk show was originally scheduled there. Due to this special appearance, the trunk show will be moved from LuLu’s Bridal Boutique to StarDust Celebrations at 6464 West Plano Parkway in Plano, Texas. To shop this selection of gowns on Friday (Jan. 24), Saturday before 1 pm, or Sunday (Jan. 26), no appointment will be required. However, to shop the gowns on Saturday from 2:00 p.m. to 6:00 p.m. and have a styling appointment with Mr. Tutera, please call for an appointment. Appointments can be made by calling 972.781.1619 ext. 223 immediately, as these coveted slots are nearly full. Bridal appointments will be for one hour with a 15-minute styling consultation with Mr. Tutera. Please limit the number of guests to three people. Q: I have found the wedding dress of my dreams. Now what?! A: We’re so glad you asked! First of all, congrats on finding your dream bridal gown; that is truly one of your biggest and most exciting wedding planning milestones! Now you’ll want to focus on your veil and/or hair accessories. Plan ahead; it generally takes eight weeks for a veil order to arrive. The heavier detail or more intricate the edge of the veil is, the more prominence your veil takes in your overall wedding day look. So if your gown is more simple, you can go with a more elaborate veil, but if your gown has lots of detail you want to take your guests’ breath away, select a more modest veil. Veils come in many colors, from several varying shades of white (white, diamond white, ivory, sand, etc.) to hues matching the variety of colored bridal gowns on the market now (pink and blue, to name a few). 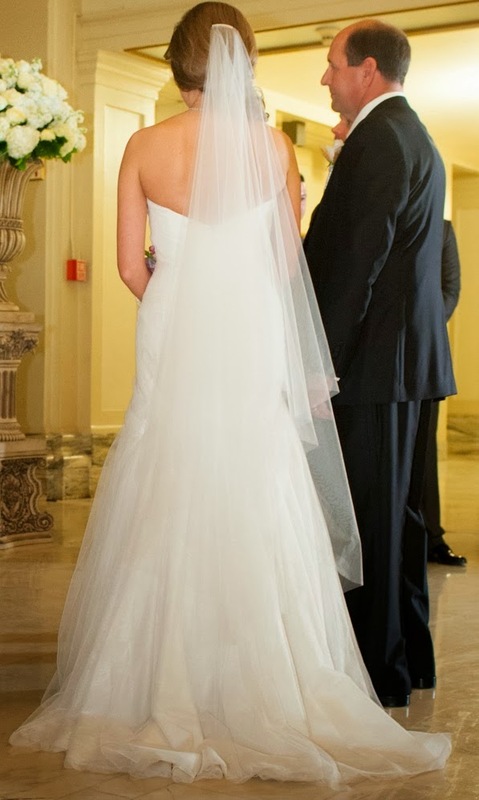 Veil prices range from around $175 for a simple, one-layer, cut-edge veil up to around $2,000 for something that featured lace, sparkle or intricate designs. Chances are that you will want to remove your veil once your reception really gets going as it’s not easy dancing while wearing one. 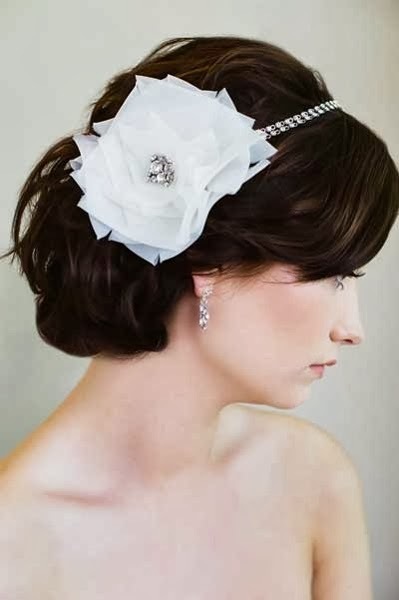 We always recommend a little something for your hair for when the veil comes off so you still look special. Headband styles are really in right now and they can easily be worn again. You can wear them for New Year’s Eve or some other party, as a guest to another wedding or any other time you need to dress up a little. We would not recommend real flowers in your hair because they can wilt or discolor, not to mention what allergies they may stir up in anyone you come into contact with on your wedding day. 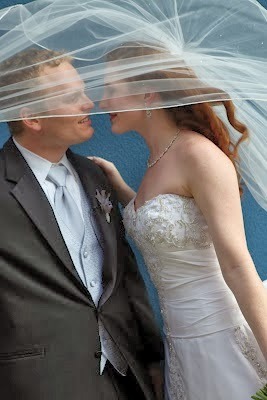 • Veils make the bridal magic! We actually wrote an extensivepost explaining why you as a bride should wear a veil. You should read it! Whether you found your dream dress at one of our salons or somewhere else, we would love to help you find the veil and hair accessories to perfectly complement your bridal gown. 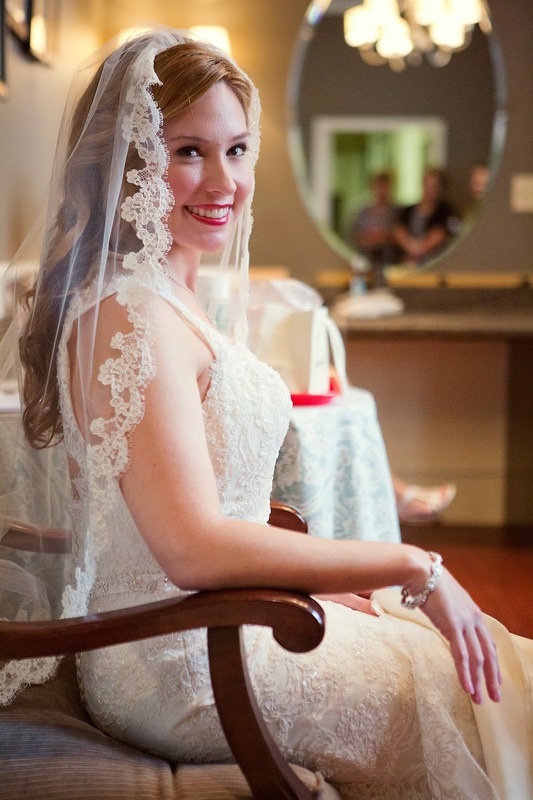 Call us at 972.781.1619 to schedule an appointment; you’ll want to make plans to bring your gown, if possible.